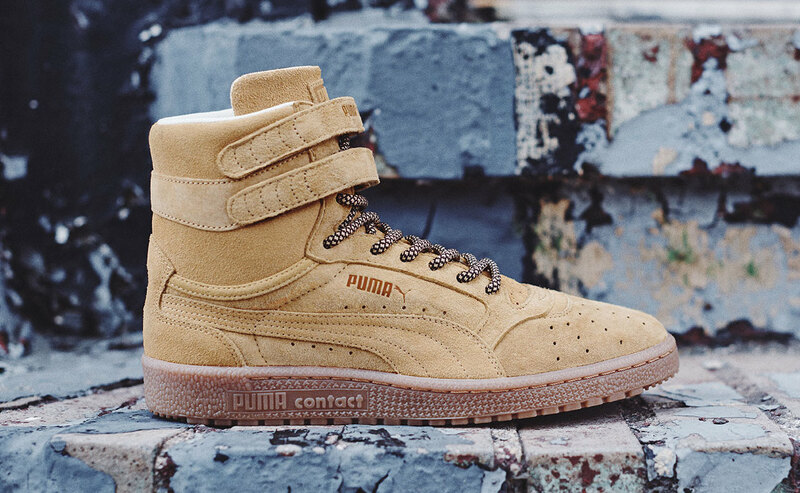 In case you needed more proof that fall is in the air, Puma's got a set of pumpkin spice retros on deck this weekend. 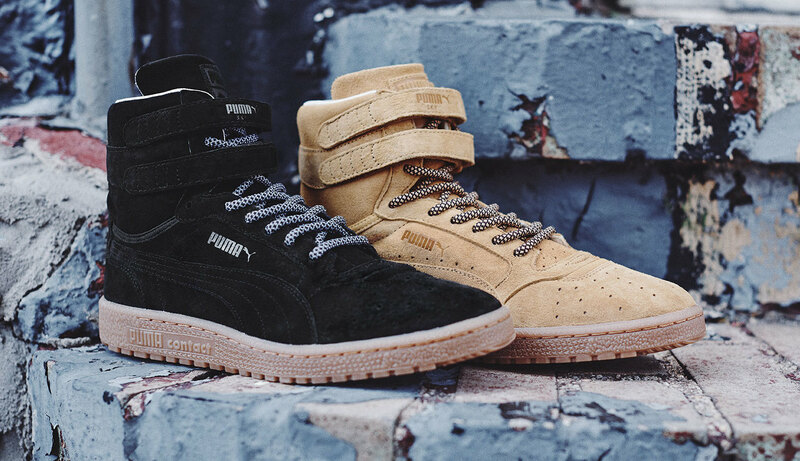 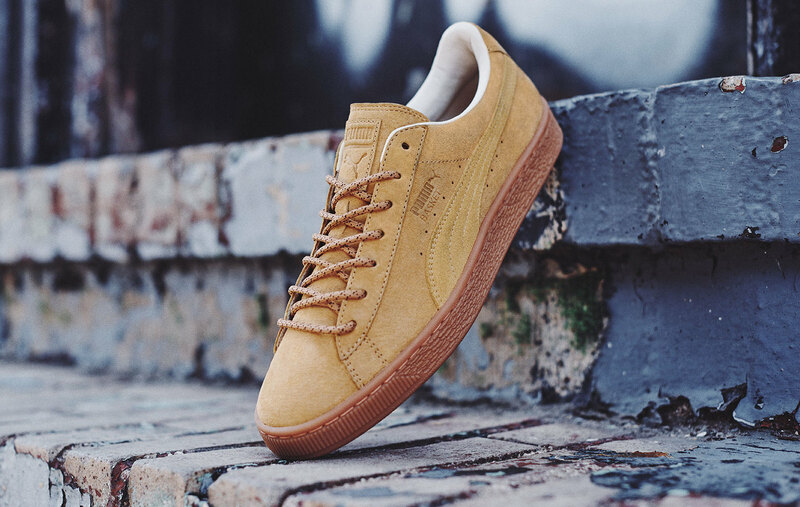 The Puma "Winter Spice" pack includes the Suede and Sky II High in wheat bronze and black colorways. 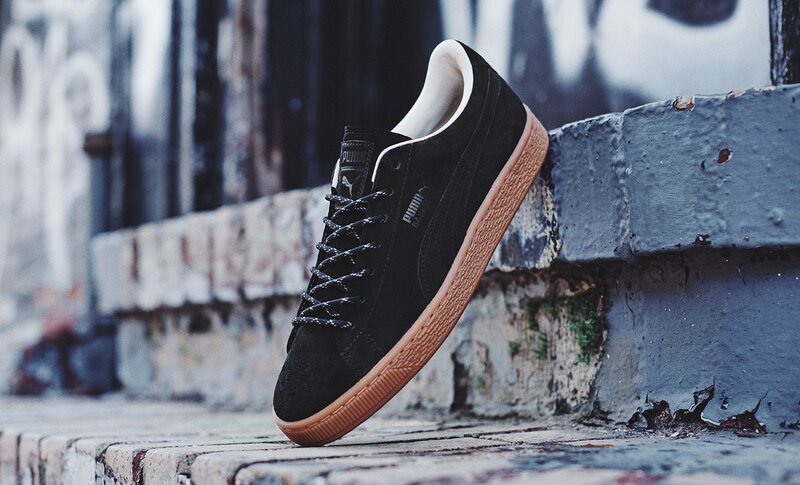 Each style features nubuck uppers, boot laces, and rubber gum soles. 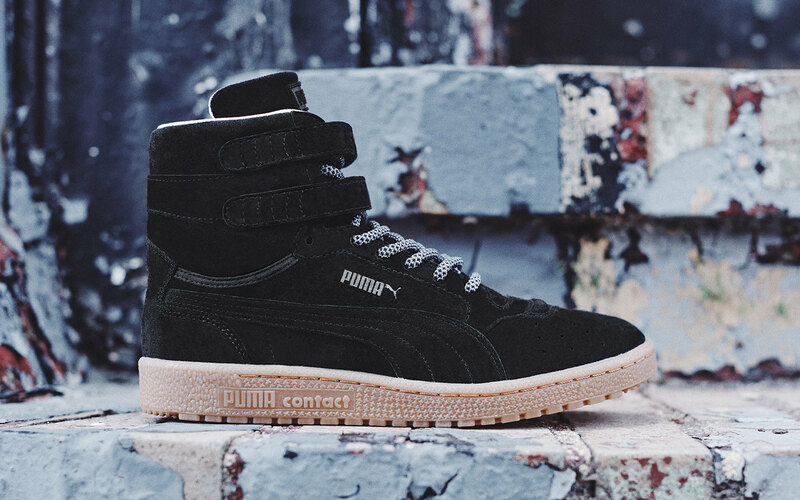 This collection drops Friday, October 7 at Foot Locker, Sneaker Villa, and Shiekh Shoes Puma Lab locations.